Book 8 Day Egypt Tours, Egypt Classic Tour Package 8 Days to Cairo, Giza Pyramids With All Inclusive Nile Cruise Luxor Aswan. Book Classic Egypt Tour Packages For Perfect Guided Egypt Itinerary 8 Days Tour. 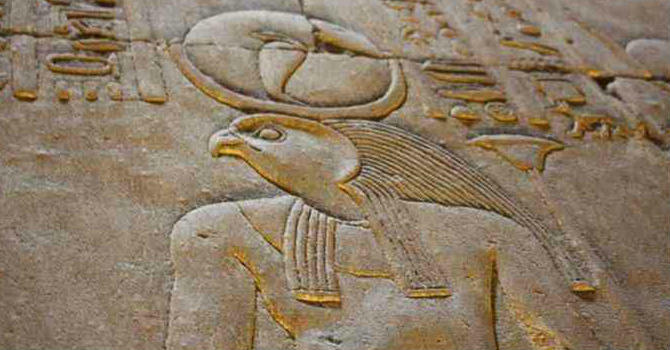 Sakkara is one of the most extensive archaeological sites in Egypt! It was the cemetery for Memphis, still one of the virgin archaeological sites despite that so much has already been found here ! Best known for the Step Pyramid, the oldest known of Egypt's 97 pyramids. Dendera temple complex of is considered one of the best preserved temple complexes in Egypt. Located 2.5 km south east of Dendera "Tantere" the sixth Nome of Upper Egypt, known to the Greeks as Tentyris and it was a town of some importance. Abydos is one of the most ancient cities of Upper Egypt, also of the eight Upper Nome. Today, Abydos is notable for the memorial temple of Pharoah Seti I, the temple been built during the 19th Dynasty of Ancient Egypt. The ancient capital of Egypt, founded 2925 BC south the river Nile delta by king Menes the unifier of ancient Egypt and the founder of the first dynasty. It is part of Saqqara necropolis with remains of God Ptah temple and 2 huge statues of Ramses II still found at the site. Khan El-Khalili open air bazaar is 14th century old Arab souk. Built in 1382 by the Emir Djaharks el Khalili in the heart of the Fatimid Islamic Cairo. Filled with exotic unique items from jewelry, spices, souvenirs and perfumes to t-shirts and galabiyyas. Misr Al Qadimah "Old Cairo" dates back to the 6th century, the name was given to the the ancient southern part of the city the site of those capitals before modern Cairo. known also as Cairo religious community as it contains ancient mosques, churches & synagogues. The Mosque of Muhammad Ali is situated inside the open court of Cairo Saladin Citadel, designed by the Turkish architect Yousf Boushnaq in 1830 A.D as replica of Sultan Ahmed Mosque in Istanbul. Escorted 12 Egypt Tours, Nile Cruise and Red Sea Stay All Inclusive. Book Egypt Itinerary 12 Days to Cairo and Nile Cruise. Book Best Cairo Nile Cruise Package and Hurghada Stay to Wander Egypt History Along With The Beauty of Red Sea Rivera. Short Cairo Luxor Tour. Book 5 Day Cairo Luxor Tour Itinerary to Giza Pyramids, Valley Kings, Luxor & Karnak Temples Egypt. Book Cairo Luxor Tour Package and Uncover the Tourist Attractions of Modern and Ancient Egypt . Cheap Egypt Holiday Packages 8 Days. Book 7 Nights Egypt Budget Holiday to Cairo and Nile Cruise Holiday. Visit Giza Pyramids and Nile Cruise Luxor Aswan. Start in Cairo, Giza Pyramids then Take The Sleeper Train to Board All Inclusive Nile Cruise Before Returning Back to Cairo. Budget Travel Package to Egypt 8 Days. Cheap Egypt Travel Itinerary to Giza Pyramids, Luxor, Aswan & Abu Simbel Temples. Book Overland Egypt Travel Package to Wander Egypt Top Travel Destinations in Budget Escorted Tour in Egypt. 12 Day Budget Egypt Tours Package to Cairo, Nile Cruise and Sharm El Sheikh Stay. Book Cheap Egypt Nile Cruise and Stay Holidays to Giza Pyramids, Luxor, Aswan & Sharm El Sheikh. Unmissable Historic and Leisure Egypt Itinerary 12 Days. 15 Day Egypt Tour Package to Follow The Route of The Holy Family Trip to Egypt. Book to Follow The Steps of the Holy Family Flight into Egypt Itinerary 15 Days. Visit Most Churches, Monasteries with Sightseeing and Nile Cruise Included. Book Cairo Sahara Desert and Nile River Holiday, 12 Days Egypt Desert Safari Cairo Nile Cruise Sahara Desert. Book Escorted Egypt Safari Tours Package to Major Sightseeing Places in Cairo, Visit the 5 Oasis of Egypt Western Desert and Relish Wonderful Cruising Time On the Nile. Book 14 Day Egypt Tour, Cairo Nile Cruise Sahara Desert Holiday Package to Giza Pyramids, Sahara Desert and Nile River. Book Grand Egypt Adventure Tours and Travel Around Egypt Attractions in Sahara Desert, Nile River and Valley. Book 5 Day Siwa and The Western Desert Vacations. Egypt Desert Tours to Modern Day Siwa Oasis. Book Luxury Vacation Siwa and The Western Desert From Cairo to Siwa Oasis Tour Package to Explore Al Alamein, Alexander Temple, Cleopatra Bath, Abu Ali Village and Shiata Lake. Luxury Cairo and Nile Cruise Package. Book Luxury 10 Day Egypt Tours, Luxury Egypt Guided Tour Packages to Cairo, Giza Pyramids and River Nile Cruise All Inclusive. Private 10 Day Guided Tour of Egypt Itinerary With 5 Star Luxury Nile Cruise. Luxury Cairo Vacation Package 4 Days. Book Cairo Egypt Vacations in Cairo 4 Seasons Hotel and Explore Cairo Top Attractions in Luxury Guided Package Vacation to Cairo Museum of Antiquities, Giza Pyramids Necropolis and Many Other Optional Activities Around Cairo. Luxury 8 Day Egypt Tour to Pyramids and Nile Cruise. Luxury Egypt Itinerary 8 Days to Pyramids and Nile Cruise Holidays. Book Best Egypt Pyramids and Nile Cruise Package. Start in Cairo Then Luxor Aswan Nile Cruise Sailing With Shore Trips to Near Historic Sites. Luxury Holiday Siwa and The Western Desert, 7 Day Egypt Western Desert Tours. Book Tailor Made Holidays Siwa and The Western Desert Tour Package to Akabat Valley, Gara Cave, Sahara Desert, Village of El Hiez, Ain Khadra & Bahariya Oasis. Book Cairo Bahariya Oasis Tour. Egypt Egypt Oasis Tour From Cairo to Bahariya oasis Egypt, Valley of El Haize, White and Black Desert Western Desert Tour Package. Explore the Black Mountains, Ain El Muftella, The English House, Crystal Mountain and Agabat Valley. Book Egypt Itinerary 5 Days Tour Gara Cave, Bahariya and Farafra Oasis. Safari Trips in Egypt Sahara Desert. Book Egypt in 5 Days Adventure Travel Egypt Package From Cairo Includes 3 Nights Camping Under The Clear Skies of Egypt Western Desert. 6 Days in Egypt Desert Safari Package, Egypt Itinerary 6 Days to Cairo, Giza Pyramids, Bahariya Oasis, White and Black Desert. Book Egypt Desert Safari Trip With Private 4*4 Air Conditioned Jeep, Expert Tour Guide, Accommodations and Tours. Nile Lake Nasser Cruise and Stay to Cairo, Luxor, Aswan & Abu Simbel. Book Luxury 12 Day Egypt Tour Package, Nile and Lake Nasser Cruise and Stay Holiday All Inclusive to Wander Top Egypt Points of Interest in Private Luxury Egypt Itinerary 12 Days Package. 10 Day Egypt Tour to Egypt Pyramids and Nile Cruise. Luxury 10 Day Egypt Itinerary to Giza Pyramids and Nile Cruise Luxor Aswan. Book Egypt Pyramids Tour and Nile Cruise. Start in Cairo Then Luxury Nile Cruise Luxor Aswan Luxor with Optional Trip to Abu Simbel Temples. 12 Day Egypt Tour package to Cairo, Nile Cruise and Stay Hurghada. Book Escorted Egypt Tours, Luxury Nile Cruise and Stay Red Sea All Inclusive Holidays. Luxury Egypt Itinerary 12 Days Travel to Cairo Then to Upper Egypt For Luxury Nile Cruise and Red Sea. Cairo Nile Cruise and Hurghada For Disabled 10 Days Friendly Handicap Tours Egypt. Book Egypt Wheelchair Accessible Tour to Cairo, Luxor, Aswan & Hurghada With Fully Equipped AC Cars and Disability Travel Guides, Hotels and Nile Cruise. Book Cairo in 2 Days Tour Itinerary, 48 Hours Cairo Airport Layover Trip. Guided Cairo Sightseeing Tours to Giza Pyramids, Sakkara, River Nile and Old Cairo. Book 2-Day Tour of Cairo and Giza Layover From Cairo Airport. Book Cairo to Abu Simbel Egypt Wheelchair Accessible Holiday Packages 10 Days Egypt in Wheelchair Friendly Tour to Cairo, Luxor, Aswan & Abu Simbel Handicap Tours Egypt With Equipped Cars, Personal Guides and Well Paved Sites. Cairo Wheelchair Accessible Tour Package. 5 Days Cairo in a Wheelchair Tour to Giza Pyramids and Old Cairo Egypt Handicap Tours. Book Egypt Wheelchair Accessible Tours With Private Guide and Fully Equipped AC Van, All Sights Are Well Paved for Wheelchair Travelers. 3 Day Cairo Tour Package. Three Perfect Days in Cairo Itinerary to Giza Pyramids, Saqqara Necropolis & Old Cairo. Book Private Guided 3 Days in Cairo Layover Tour to Explore The Top Historic Attractions in Cairo Egypt. 4 Day Cairo City Tour Package. Travel to Cairo Egypt For 4 Days to Giza Pyramids, Coptic and Islamic Old Cairo Tour. Book Private 4 Days City Tour of Cairo Egypt. Spend 4 Days in Cairo Uncovering Some of Its Endless Magic. Looking for Egypt Pyramids Holiday Package? Book Luxury and Budget Egypt Pyramid Tour Packages From List of Private and Group Egypt Travel Packages to Egypt Pyramids. The Pyramids of Giza are considered to be the most famous and popular monument in the whole world. Looking for Cheap Holiday Deals to Egypt? Find Your Egypt Holiday Deals From From Range of Our Egypt Package Deals. Egypt is good choice for budget travelers, It has lot to offer that you will enjoy even if you are in limited budget.